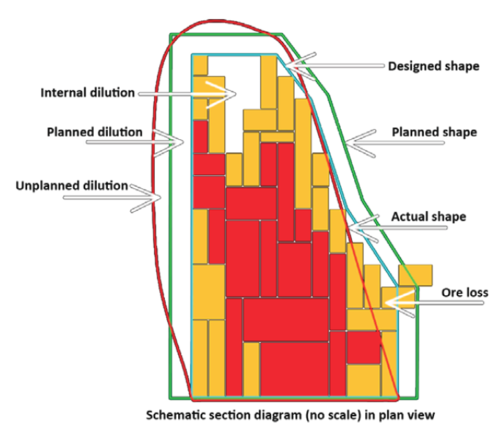 The collection of data from truck, stope, drill rig, face sampling or other measurements such as belt weighing, slurry flows and density meters feeds into daily and monthly reconciliation of mine production against plant feed and product. Collection and management of such data is critical and often a major point where systems can be optimised. 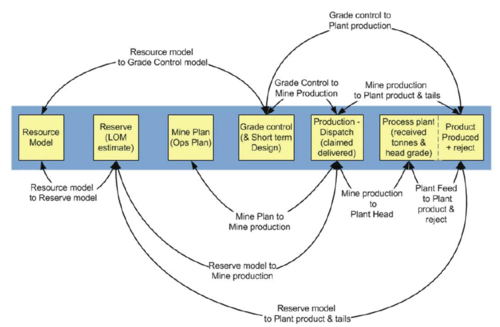 Reconciliation of resource model with mine production, and mine production with mineral processing information provides key information on the quality of the entire system. Quite commonly, many smaller errors balance each other out and it is difficult to read much into the overall negative monthly reconciliations between mine and plant. We break the system down to its smallest building blocks and analyse the data thoroughly, uncovering the reason behind the reconciliation differences and implementing changes to improve the system. We can help with implementing professional reconciliation systems that allow our clients to take ownership over each step of the process. With the industry in a downturn, this is an optimum time to revisit reconciliation issues, optimise and save money.